FLASHW_ALL = &H3 ' Flash both the window caption and taskbar button.
' 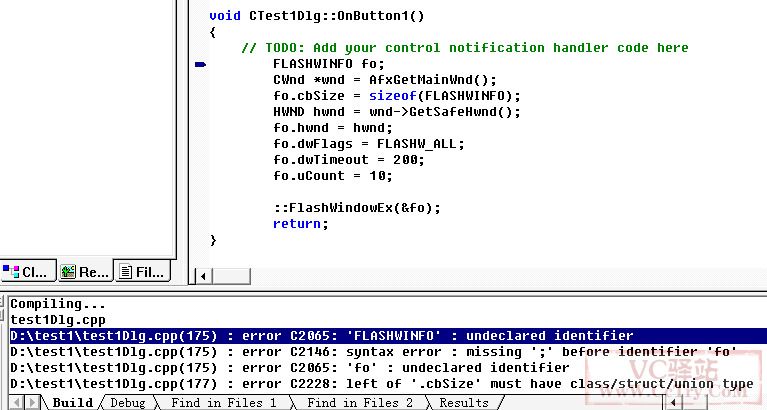 This is equivalent to setting the FLASHW_CAPTION | FLASHW_TRAY flags. FLASHW_CAPTION = &H1 ' Flash the window caption. FLASHW_STOP = 0 ' Stop flashing. The system restores the window to its original state. FLASHW_TIMER = &H4 ' Flash continuously, until the FLASHW_STOP flag is set. 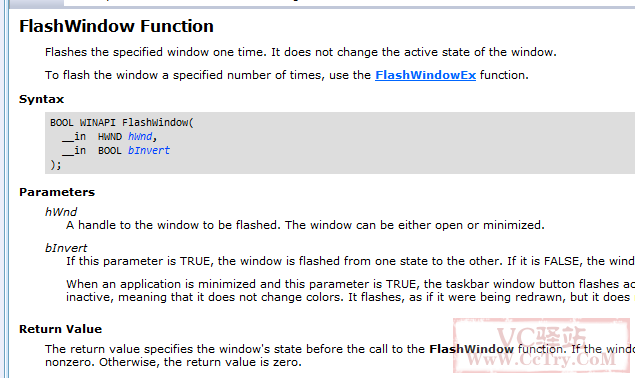 FLASHW_TIMERNOFG = &HC ' Flash continuously until the window comes to the foreground. 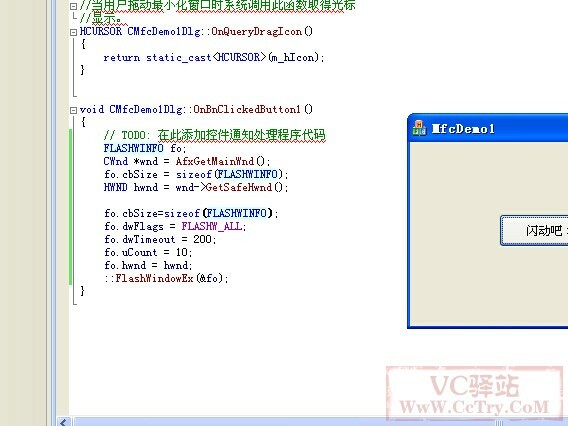 有，我按照提示 Header: Declared in Winuser.h; include Windows.h.